What would you say have been the most significant developments in the industry in terms of Drug Delivery over the past 21 years? The most significant development has been the explosive growth in the number of generic drugs arriving on the market. Generics have created new dynamics across the greater healthcare industry that have impacted everything – from accessibility and affordability for patients and payers, to the business models of pharmaceutical companies and their partners, including 3M DDS. Specifically, for 3M DDS, the expiration of drug patents is now putting intense pressure on those original, branded drugs to stay relevant in the marketplace. Meanwhile, the expiration of a patent also puts intense pressure on those companies now competing to bring a generic version of that drug to market. They must all find ways to make their products, which is ultimately the same drug, stand out from the others. Pinpointing new strategies for marketability will continue to be a major challenge for many years to come. 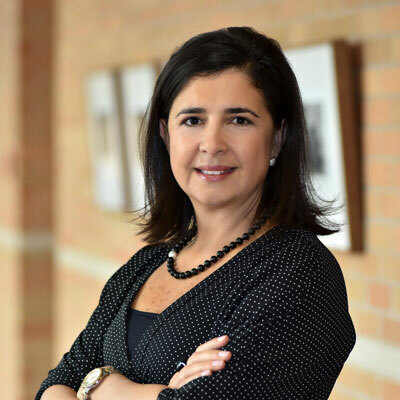 How has 3M evolved to meet these challenges? At 3M DDS, we know one of the most important ways a drug can stand out from similar formulations is the way in which that drug is delivered to the patient. If one drug delivery method is easier for a patient to use, less painful and more affordable than the competition, one can surmise that patients and providers would favour that product over the rest. To develop those superior drug delivery methods, in recent years, 3M DDS has begun to invest heavily in research and development. We are pushing ourselves to innovate more than ever before because we know the competition is fierce – and we believe our long history of innovation and invention lends itself to this challenge. Recording that data through connectivity to their smartphones and tablets. Looking ahead to the next few years, what do you think is likely to be the main opportunities and challenges in terms of drug delivery? Digitisation will continue to present incredible opportunities to improve the delivery of drugs to patients in ways never before thought possible. Through our research and development efforts, we are working every day to identify those opportunities and figure out how to apply digital technology to other drug delivery devices, including transdermal patches and microneedles. The ultimate opportunity boils down to empowering patients to take more control of their healthcare journey. For instance, if a patient could self-administer a drug at home, rather than making a trip to the doctor’s office, the process would be more cost-effective, time-efficient, and potentially lead to improved adherence – which could lead to better outcomes. Digitisation will drive that opportunity. The major challenge will continue to be achieving a business model that can withstand the pressures of bringing such opportunities to market. When it comes to generics, in particular, most price margins are thin, which can inhibit the ability to innovate improved drug delivery systems. In this digital age, it would also be understandable for regulators to be cautious of new technology that has never before been used. With no prior data, the process to ensure patient safety must be rigorous and could be potentially slower than we’re accustomed to in the pharmaceutical and drug delivery industries. How is 3M preparing for these developments? 3M DDS continues to invest heavily in its own research and development. We are hiring more resources with experience in the fields of software, hardware and data analytics. We are growing our talent pool with a focus on connectivity and digitisation. We are also investing in partnerships with start-up tech companies, to help address the challenges of achieving an effective and sustainable business model in this new digital age. 3M is a global science company that never stops inventing. Using 46 technology platforms, our integrated team of scientists and researchers works with customers to create breakthroughs. Our inventions have improved daily life for hundreds of millions of people all over the world since 1902. With more than $30bn in sales, our 90,000 employees connect with customers all around the world. Scientists, researchers, and marketers work across countries and across subjects to solve challenges big and small. 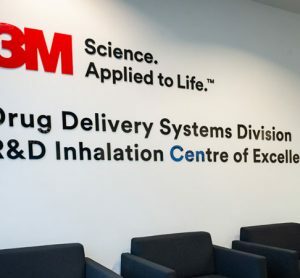 3M Drug Delivery Systems (3M DDS) is one such division, which has over 60 years of global pharmaceutical development and manufacturing experience. We provide proven inhalation, transdermal, oral and topical manufacturing expertise – from feasibility to market.